This painting likely was painted as an individual work, not belonging to a series of Christ with the Apostles (known in Spanish as Apostolado). Christ is represented as the Savior of the World (Salvator Mundi). The long and narrow head of Christ, the frontal position and the hieratic quality of the representation are strongly reminiscent of Byzantine images of the Pantocrator (Christ as Ruler of all), with which El Greco was very familiar. 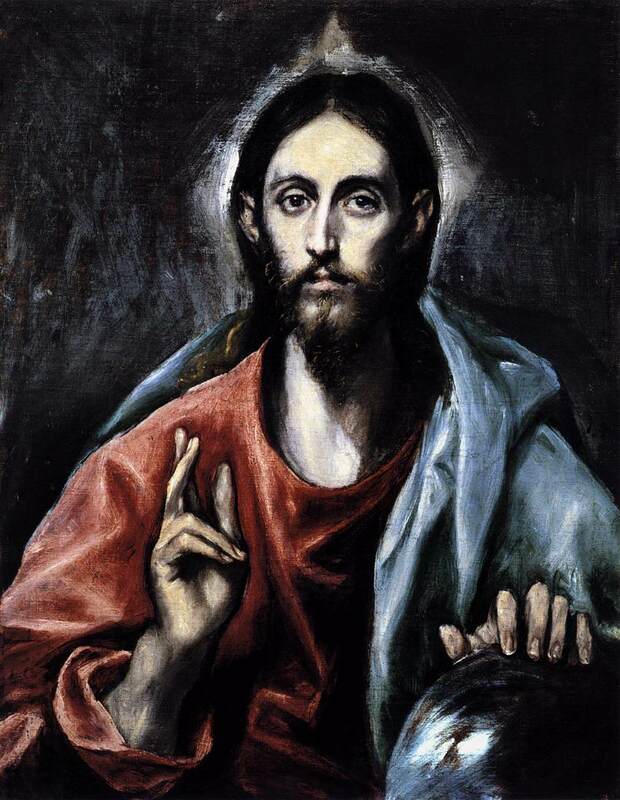 El Greco (1541 – April, 1614) was a painter, sculptor, and architect of the Spanish Renaissance. Today considered one of the greatest artists of the Spanish school El Greco was born in Crete, a Greek island then under Venetian control. The artist always acknowledged his heritage, signing his works with his given name, Domenikos Theotokopoulus, in Greek characters. 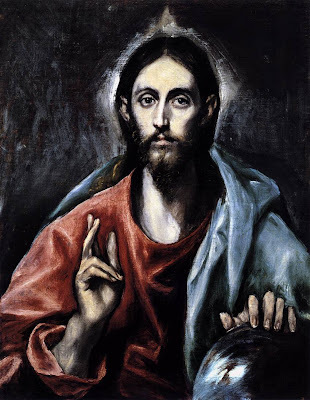 Little is known of his youth, but El Greco's early works in the Byzantine tradition of icon painting demonstrate that he learned his skills within this conservative tradition before exposure to Venetian High Renaissance art broadened his stylistic approach.